With so much to think about during harvest, some details can easily get overlooked. Don’t let mycotoxins be one of them. Mycotoxins can be extremely harmful to humans and animals. They are known to disrupt the synthesis of DNA, RNA and proteins, and can impair animal health – even causing death. The metabolites can be passed through animal products, such as milk. 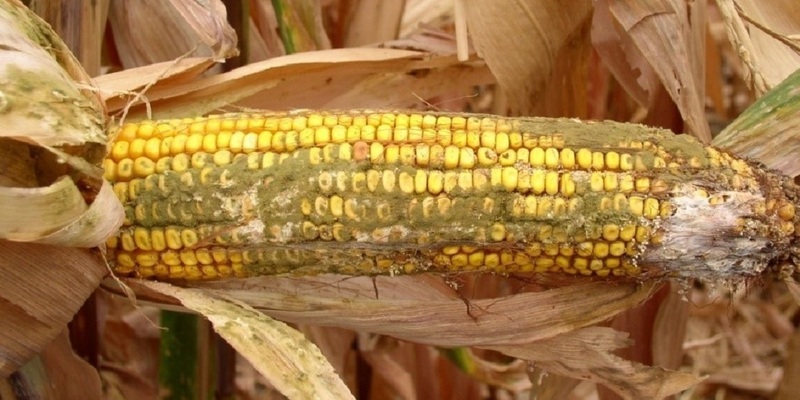 Mycotoxins can also have a severe economic impact. They reduce the crop value from the restricted use of contaminated grain and are a cause of rejection of unacceptable dried distillers’ grains. Harvest moisture and handling can also influence grain infection. Higher grain moisture, improper storage and damaged kernels can increase the likelihood of mycotoxins in the grain. Some toxins are more common than others, varying significantly in acceptable thresholds and in their impact on animals that consume contaminated grain. The most frequent toxins present in corn are aflatoxin, fumonisin, DON, ZEN and T-2 toxin. There are multiple tools to dramatically reduce mycotoxins, especially aflatoxins. In addition to minimizing crop stress through sound in-season agronomic practices during the growing season, plan to harvest, dry and store grain at appropriate moisture levels. Going into next season, consider planting NK® corn hybrids with the Agrisure Viptera® trait for the most comprehensive insect control, reducing insect feeding damage to ears and protecting the quality of grain. For additional recommendations, speak to your local NK retailer.